This period started on a very happy note with the wedding of Caroline Sabberton and Nick Court. Caroline’s family has worshipped at Madingley through several generations. We wish Nick and Caroline every happiness for their future together. 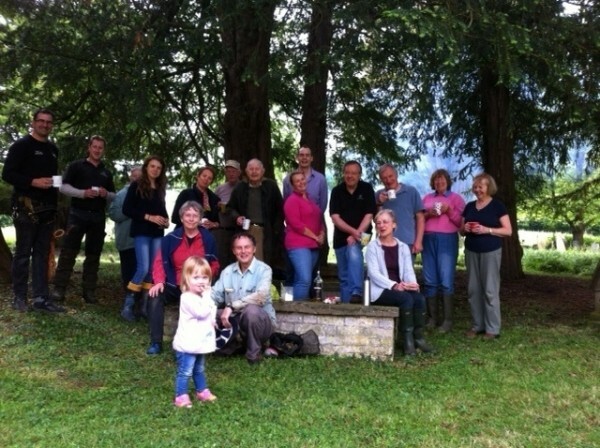 An incredibly busy period followed for the congregation, starting with the Annual Maintenance Session in the churchyard when 20 volunteers came along to tidy graves, cut grass, sweep paths, clear gutters, cut back shrubbery and have a bonfire. The photograph was taken during the coffee break and you can see that we had a beautifully sunny morning. Madingley Hall opened their gardens as part of the National Gardens Scheme the following Sunday and the congregation served teas to visitors. We were delighted to welcome so many people to this beautiful building, to enjoy the peace, music (thanks to organist Emma) and history of our church and the delicious range of home-baked cakes and scones following a walk around the gardens of Madingley Hall. 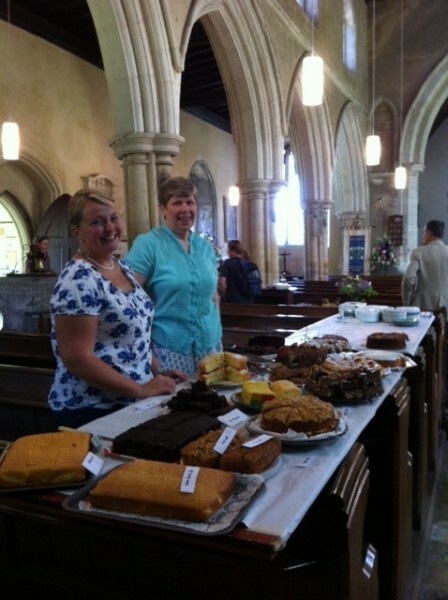 £600 was raised for our West End Development Project and everyone enjoyed a wonderful afternoon. We are grateful to Richard Gant and his colleagues at the Hall for including us in this fund raising event. Members of the Church Council visited Mrs Isobel Lattimore of NADFAS(National Association of Decorative and Fine Arts Societies) to see the restoration work that NADFAS HERITAGE VOLUNTEERS embroiderers, under Mrs Lattimore’s leadership, are carrying out on the nineteenth century Madingley red altar frontal. In 1898 the Parish Magazine records that “ … a new altar frontal of red Japanese velvet, with gold ornaments was presented for the use of the church by some twenty women of the parish. 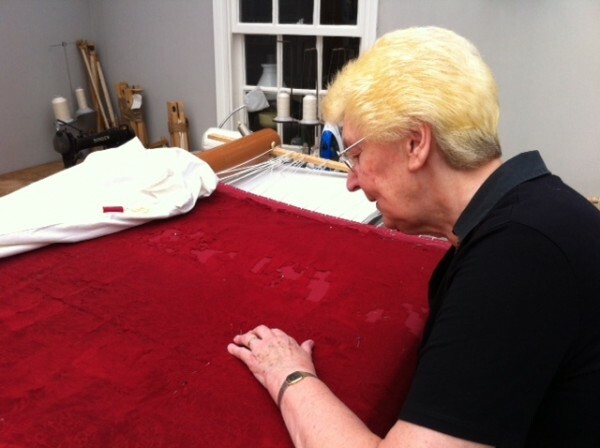 Through the kind offices of a friend in Japan the velvet was specially woven for us at Tokyo …” The frontal had become extremely fragile and the NADFAS Group, who give their time freely, is being carefully restored and strengthened for our future use. After completion the frontal will be put on a specially made wooden frame and a large calico covering protective bag for storage will be made. This newsletter period ended with the historic baptism of triplets Taylor, Benjamin and Jayden Cash on 22nd June following the example of their older sister Alessia, who was baptised here two years ago.